Giovanni Boccaccio’s book, is truly a delight and one of best works of fiction of that time period certainly. Written in the 1350’s and about the plague then threatening Europe, Boccaccio has his characters leave Florence in search of safety in the country of Tuscany. There, there seven women and three men, take turns “being King or Queen” and then delighting themselves with the telling of tales. In all, one hundred stories are told. They are ribald, funny, and amazingly frank when it comes to the excesses of the Catholic clergy and the lusty desires of women in general of the time. The stories are quite short usually, and thus the book is quite easy to read or listen to in small chunks. I listened to a Librivox recording of the book, read by ten readers, all European, who literally brought the stories alive with their wonderful abilities. Read it, listen to it, but do not miss it. For those that care, I’ve moved to http://writerden.blogspot.com. WordPress just would not leave the editor alone, constantly changing the format and making it harder in my opinion to move around. The old posts here will remain…all further ones will be at the new site. 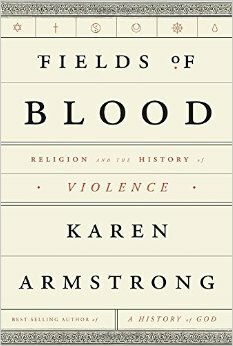 Karen Armstrong is an extremely well-known and prolific writer on religious matters. This is a great book, and one that all should read. And on the surface, one can point to the Middle East, the “troubles” of Ireland, the active palpable hatred between Right wing evangelicals in this country and virtually anyone else. All these suggest that the remark is correct. But many of us suspected it was otherwise. Karen Armstrong makes that case. Armed with prodigious amounts of research and statistics, she shows very strongly that religion is indeed not the culprit, although it no doubt has it’s violent people who lay claim to being “believers” while at the same time, acting in a matter that in no way is in agreement with the tenets of the faith they espouse. Blaming it on religion is the simplistic, non-thinking response. The causation goes a good deal deeper, and Ms. Armstrong takes us there by moving back through history. Agrarianism changed the balance. It produced surpluses, the farmer, in return for “safety” gave over part of his harvest to one or some who did no work but promised to “protect” them. Inevitably this led to coercion, threats and violence as not everyone wanted such “protection.” Religion is “used” by such elites to solidify their control. It is in essence “God’s will” that you give me part of yours and I promise to protect you. Whether that protection was ever forthcoming doesn’t matter. When we approach the new notion of the “nation state” a similar process ensues. One must be connected to the new nation, it must become important. A shared history is promoted, a general “rightness” is assigned to colonialism. Empty lands (not productive in the way the invader desires), are unnatural and thus available to the strongest. The nation becomes the revered “god” to be protected at all costs. It takes on that religious fervor found so necessary to get others to do what they would not otherwise do. All the so-called religious wars end up reflecting secular desires and needs of the state or those who control such states. The Crusades for instance, were deemed religious wars, yet Christians routinely killed civilians, pillaged even Christians but saved their special violence for Jews. At one time Muslims were considered the protectors of Jews in the Middle East. Can anyone believe that today? Religious wars are almost always fought for land or power. The use religious terminology because people respond by offering their lives when they find “meaning” in their actions. Secular actions are imbued with religious significance for this purpose. Moreover the violence incumbent in power is often tamed by religious people and institutions. Groups like the Muslim Brotherhood has done on balance probably much more good in Egyptian society than the bad they are accused of. They have struggled to provide health care, education, and a host of other forms of assistance to those who have been the victims of the state’s power. The US and Western Europe bears a huge fault in much of what has gone wrong in India, Pakistan, and throughout the Middle East, from their arbitrary and utterly self-serving “boundary lines” denoting “countries” that no longer resemble ancient regimes nor ethnic groups to their insertion of puppet demagogues through the region. These dictators and their small band of elites reap the rewards while the general populations remain and often worsen in poverty. Studies done of Jihadi youth show that most joined not for religion, and in fact many of them are fairly secularists or at least have not been serious in their faith, but rather to strike back at those who have demeaned, humiliated, and economically starved their brothers and sisters for decades in the name of greed. The French Revolution a decidedly secular affair proceeded to the Reign of Terror, all without religion as a motivation. This will not stop the detractors of course, the New Atheists who thrive on the theory that religion is at its heart violent. And it falls against Steven Pinker’s work that suggests that the level of violence in the world has steadily fallen since the beginning of recorded time. There is room for argument here no doubt. Ms. Armstrong makes it clear that there are always myriads of reasons and it is impossible and wrong to limit oneself to one or another response only. But I think she makes a good point, and we should recognize that indeed humans are more than crafty enough to use religion for purposes other than those intended. A valuable read for those who like to examine the big questions along long time lines. As always her research is the best, and she reads easily. This is another in my ongoing series of “going back and reading all the classic literature I never read in my youth”. Lord of the Rings is surely a classic, and one well-known to most people whether they have read it or not. Many have seen the film versions. I too was well aware of the plot lines and since I assume you are too, I won’t spend much time upon it. Quite obviously books such as these need no “review”. This is designed to simply register as my thoughts on reading it, rather than as some new analysis. The premise is simple…a plane load of children crashes on a desert island and there are no adults. What kind of world will they create? What fears come to the fore? How will they be dealt with? Who will lead? Who follow? It is not surprising to most readers that the situation soon devolves into chaos. A couple of the older boys seemingly think of the right things, food, shelter, rescue. The rest are either too young to comprehend it all, or locked in their own needs and wants. The camp followers are one group and the “hunters” another. Their interests initially one, diverge. One boy, Ralph, becomes the effective leader, but another boy, Jack, becomes his almost instant rival. Jack represents the self-serving in all of us, who pursues his own interests without thinking of the consequences to the larger group. Ralph is no match for the enticing adventure that Jack offers. Jack denigrates the “adult” interests of Ralph and Piggy to secure some security as well as set up a smoke fire that will alert passing ships it is hoped. He encourages the rhythm of tribal chant, that raises the blood and encourages the blood rage necessary to seek out and kill one of the island’s native wild pigs. Of course, eventually Jack’s barely contained homicidal rage wins the younger boys over and they paint themselves and engage in the hunts, the hunts that eventually ignore the difference between boy and beast. Playing deftly on the fears of the youngest, he gets them all to do his bidding, and when Ralph and Piggy try to turn the boys back to rescue pursuits, the violence erupts. Two of the boys are killed in the rage. The chanting of “kill the beast, cut his throat, spill his blood,” reverberates through the mind as we seek our own peace with this circumstance. We ask ourselves. Would we do better? Are we but one catastrophe from chaos? Would we be Ralph or Jack? Would we be Piggy, desperate to be accepted, forced as usual into the roll of laughable buffoon. Would we protect Piggy? Or join the tribe? There are endless questions. 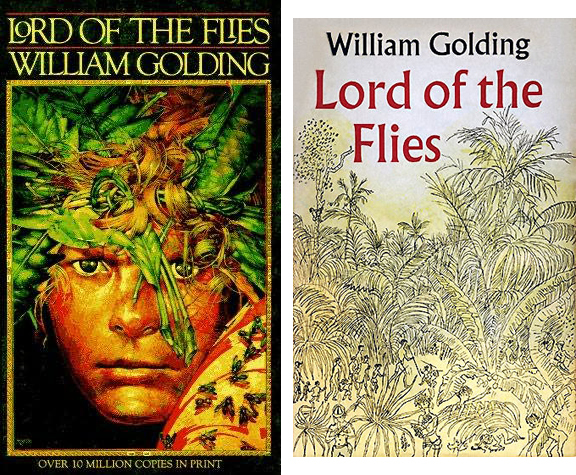 As usual, stories such as Lord of the Flies start so simply, as little stories. But the ideas and questions they raise go to the very guts of who we are but more importantly who we think we are. As such they locate their place in the pantheon of important literature, not so much for the grandeur of its writing or the loftiness of its ideals, but rather for the hard questions it raises about society and what we have created and how stable it is or is not. Are we basically good? Or is it bad? Are we altruistic by nature or protective ultimately of only our own interests as we perceive them to be? Read, and then sit and reflect. Definitely a book everyone should read at some point. 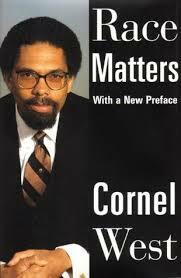 First, I have to say that Cornel West is one of my heroes. He’s what I would be if I could–a brilliant thinker, writer, and activist. Philosopher and professor, writer of so many important books, this is considered one of his seminal works. Dr. West makes himself a target no doubt for a number of reasons. He is loud in his condemnation of the structural and erroneous direction of our racial talk to date. He is also a democratic socialist, and this opens him to attack from people who though racist, use this as a means to give his work short shrift instead of arguing the logic of his positions. Everyone comes in for their share of criticism from West. He is as always more than willing to assail the limitations and excesses of black as well as white folks, well-meaning though most may be. And for this we should be grateful because he points out to us all, how we get bogged down in what he terms “liberal structuralists” and “conservative behaviorists”. Although written in the early 90’s, it resonates today as if written yesterday. And that is a shame no doubt, for it signifies that nothing much has really changed in the intervening years. In addition, his references to the Palestinian problem right as true today as they did when written. I found his treatment of the Alan Keyes and Herman Cain’s of the world quite informative as of course we face similar challenges from Ben Carson today who seems determined to unilaterally undo most of the successful legislation from the 60’s. Similarly, he gives an interesting account of the drama of the Clarence Thomas confirmation hearings than I have ever read before. West does an admirable job it seems to me, in bringing us forth together as a society and asking us tough questions and to entertain them in a new and progressive way. Because he is brash and revolutionary in his approach, the usual suspects will consider him a race baiter as they always have. That should not dissuade anyone from reading his work and contemplating it deeply. We have a race problem in this country. We have had it since our inception, and if we are ever to rid ourselves of the problem, it will only be by confronting the ugly underbelly of the causes frankly and honestly, something Dr. West encourages. Solutions are not forthcoming from him, and I would argue that there is reason for that. Solutions will follow from honest unpacking of the decades and literal centuries of dishonest, misdirected explanation and blame. We will have to rid ourselves of all the preconceived notions we hold and those we don’t even know we hold. Only when the dust is settled, can we meaningfully decide how best to rectify the horrific misery inflicted on our brothers and sisters of color. The uber Right will hate this book as it hates his message. The left will embrace it, hopefully and learn of their implicit assistance to the wrong solutions of the past and learn better questions as we move toward true equality and egalitarian living. Hopefully those who are open-minded yet normally uninvolved, will take a peak and do some serious soul-searching prior to making a commitment to change what has been. This should be a beginning text for anyone interested in solving the deep-seeded issues that provoke a country’s inhabitants to still see color all to quickly as a “factor” in any determination. We can’t stop that until we understand, and Dr. West helps us to understand. Since I was headed to college in the fall, I set about reading what to me seemed a very long list. Of course I went off to college, lost the list, but never entirely forgot what had been apparent to me–I was woefully under read according to this source at least. I have of course long lost the list. But I was happy to learn that all sorts of groups and institutions have offered their lists too. And when I go through them, I still feel the same unease, that I was not well served in high school when it came to being familiar with what has come to be known as “classical” literature. One can of course quibble with any list. Some argue that the usual ones are way too European centered and miss the efforts of Asian and Middle Eastern writers. They are probably correct in that. One has to start somewhere however. And I’ve decided to start. With completing the list that is. One list at least. 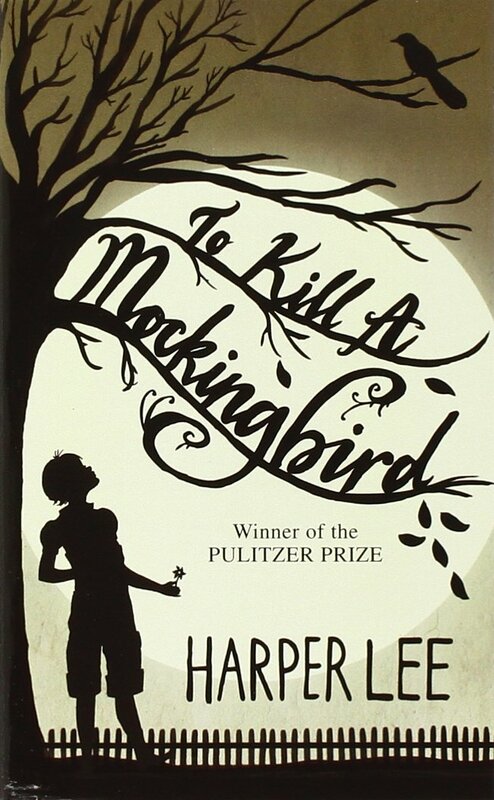 While I scored pretty good, something like 67-100 on the list were books I had read, this one led the list and while I had seen the movie of course, and was familiar with the story, I had never actually read the book. And it is of course just as wonderfully good as everybody would say, and surely it deserves to be on everybody’s list of books one should read in one’s lifetime. It is a telescope into the world as it was. It reminds us of how far we have come. It warns us of complacency. It indicts us for our failures to end the ways of thinking that encased the minds of the small people of Maycomb county. It gives us hope that clearer understandings of our history and culture are possible that dont’ rely on the revisionist thinking of our political parties and government. It is of course required reading. And now I have completed beginning. This is a bizarre review I am sure, but how else to explain how a 65-year-old-woman, well-educated, and professionally employed, managed to not have ever read this until today. And why I’m glad I did. This is writing at it’s best, and thinking at it’s best. Julian Jaynes book created a stir when it came out in 1976. That has essentially not changed. It remains controversial but most agree that at it’s worst, it has sparked investigation in several new areas that he pointed to, as well as creating an atmosphere of interdisciplinary interaction as he touches upon so contributing factors which relate to archaeology, anthropology, linguistics, neurology, psychiatry, and so forth. There was always anticipated a second book that would flesh out even more of the theory, but unfortunately Jaynes died in 1997. 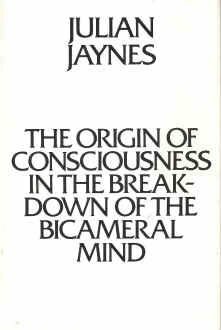 In a nutshell, Jaynes as offered up the unique hypothesis that human beings did not obtain consciousness until much much later than thought. While historically, the importance of consciousness cannot be denied, the very idea that some of the great works of architecture, the great civilizations of the past were built by men and women who had no sense yet of “I” or “self”. They were unable to narrate a “story” of themselves in time, relating to past, present and future. Drawing largely on the Odyssey and Illiad as examples of what he calls the bicameral mind, he pursues a course of argument that until about two thousand years ago, (give or take), we were guided by the voices we heard which emanated from our own brains. We of course, did not see it as such, but rather considered the voices from coming outside ourselves, urging us forward in whatever task was at hand. The voices were defined as “gods” and for much of the building of the great civilizations of the Middle East these voices directed the work. Eventually the voices began to abate, requiring more work to bring them forth. Oracles and prophets replaced the average person as the “voice” through which the gods spoke. Jaynes finds that the schizophrenic and their hallucinations (usually auditory) reflect the remnants of this bicameralism. He notes the similarities in the experiences of schizophrenics and those words and descriptions used by ancient writers who wrote down the stories of the gods commands and the activities that ensured as a result. These are concepts hard to wrap one’s mind around. We take self-awareness for granted. It is hard to understand what goes on in a mind that is not self-aware, much as we wonder about how our dogs and cats “think” when they clearly are not aware of themselves as separate beings. Jaynes makes it clear that language is a necessity to the conscious mind, and that language can be shown to have adapted over time, as humans found the need for words that involved reflection, and choice, and issues that reflect the new-found adoption of “free will.” For humans in the bicameral age were not free to do as they wished, they were beholden to the wishes of the “voices” that directed their lives. Jaynes posits that this is how the pyramids were built and other great monolithic examples of human building. Men who have no concept of individuality don’t have the emotions nor responses to bodily needs as we do. They have no real personal concept of “being tired”, so much as they go until they can go no more and stop until they can go on. The problem I had with understanding had to do with the idea that if the voices come from one’s own head, how is it that say, large groups all hear the same thing? For bicameral man responds to war the same as he does building. He obeys. Jaynes offered as far as I could see no explanation for this. Still the theory is tantalizing and according to him explains the data. Given the age of the work, I was curious as to how it is now received. As best I can tell, the jury is still out. Parts of Jaynes theories seem to hold up well, now thirty years later. Others perhaps not so well. It has sparked the interdisciplinary work that Jaynes hoped for. And bicameralism is still considered a fairly good explanation of the data. When it comes to the physiological explanations that Jaynes imposes upon brain organization, perhaps it has not fared so well, but no one to mind research seriously has concluded that he is wrong. Scepticism of this work leads to the constantly heard refrain, “it’s probably not true, but it could be”.When you get down to it, one is left with the notion that “he is on to something” but no one is quite sure what that is. Given the uniqueness of his hypothesis, this is no small feat all these years later, especially given the advances in biology and physiology. It is fascinating to say the least, offering a fresh look at the “historical” documents of the past. As someone interested in biblical exegesis, Jaynes framework adds a new dimension to interpretation. We read the New Testament in a drastically new way as we wonder at say, Paul’s encounter with Christ on the road to Damascus. It’s worth your effort to read this. it will give you a different prospective on yourself and history. That’s always a good thing.